The gritty left-hander, who had a brilliant 2018 season, reached the semifinals of the ATP Chennai Challenger last week to ensure his entry into the coveted bracket. 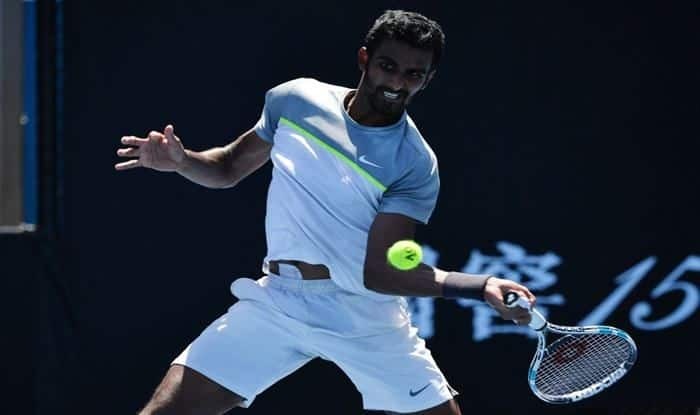 Reaping rewards of his consistent performance, Prajnesh Gunneswaran on Monday broke into men’s singles top-100 for the first time in his career with a jump of six places that took him to 97. Prajnesh is only third Indian player to break into the top-100 barrier in the past decade after Somdev Devvarman and Yuki Bhambri. The gritty left-hander, who had a brilliant 2018 season, reached the semifinals of the ATP Chennai Challenger last week to ensure his entry into the coveted bracket. If Prajnesh can maintain his rank inside top-100, it will secure him entry into Grand Slam singles main draws. In recent times, only Yuki managed to make the top-100 grade. The immensely talented Yuki has been unfortunate with injuries that halted his progress. Every time he entered the top-100, it was followed by a long injury break. He is now placed 156 behind Ramkumar Ramanathan, who rose to 128 with a jump of five places. At number four, is Saketh Myneni (255, +5) and following him is another talent from the South Sasi Kumar Mukund, who jumped 22 places to reach career-best 271. Mukund too had made the semifinals of the Chennai Challenger. In the doubles, Rohan Bopanna stayed put at 37 and was followed by his partner Divij Sharan (39, +1), Leander Paes (75, +7), Jeevan Nedunchezhiyan (77, +2) and Purav Raja (100, +3). In the WTA charts, Ankita Raina continues to be country’s top singles player at number 165 after climbing three places in the ladder and was followed by Karman Kaur Thandi, who dropped a place to 211.